Betty Ensor Thomas .....SO, every year after the Christmas Season is over and as New Year approaches everyone begins thinking about those New Year Resolutions that most of us will make and most of us will break. Some of us will say they’re going to quit smoking, lose some of that unwanted weight, or just try to live a healthier lifestyle in some form or fashion. How about WALKING? You say you do that every day? Maybe, but do you walk for your health? When I googled “Walking for health and fitness” I received over 5 million results for my search. Evidently it’s really, really good for you. On the first result page alone I saw comments about weight loss, getting healthy, having more energy, heart disease, reducing breast and colon cancer risks, type II diabetes, and increasing brain concentration. WOW! I found a website called walking.about.com/ that appears to cover just about everything you could think of pertaining to walking for your health. It even has a section for beginners. Now, I’d like to talk about your choice of walking shoes (and yes, you will need walking shoes that are used only for walking). Bone, Denim (new), Navy, Teak and Charcoal Nubuck, & Sage Nubuck. Look for new Colors in Spring '18. Also Available in Black & Bone. Look for new Colors in Spring '18. 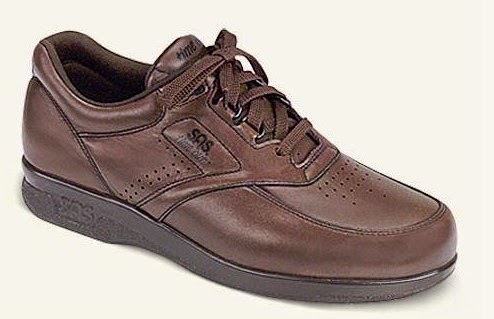 Since 1993 I have recommended SAS® Walking Shoes. Their FREETIME for women and TIME OUT for men are outstanding, and recommended by Podiatrist, Orthopedic Doctors. They are even approved by Medicare for Diabetics. These two styles are designed to fit and follow the shape of your foot and are made on an exclusive SAS® Walking Shoe Last. They are designed with a broad base, so that your foot has solid support underneath. They have wide and deep toe boxes so your toes have plenty of movement room and won’t be cramped. They have a firm wraparound heel counter for stability. They have cushions under the ball of your feet and the heels (your main pressure points). 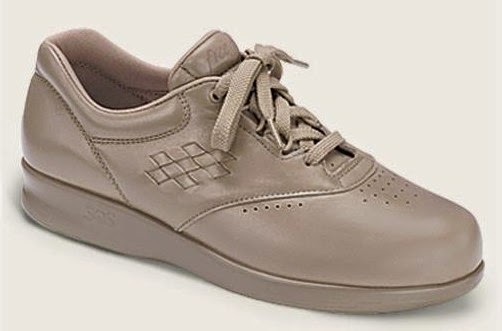 Each comes with a removable insole that literally moulds to the foot. These insoles can be easily removed to accommodate Orthotics. They are lightweight and well ventilated. Always remember to have your feet measured and fitted by a professional. The size and shape of your feet change from year to year. Also remember that you don't have to wait until the first of the year to make a resolution. HAPPY NEW YEAR and HAPPY WALKING! Betty Ensor Thomas..... After being in business for 15 years we decided that the internet was a good thing. So, on December 08, 2008 we launched our Website and this Blog. As we approach the beginning of our 22nd year in business we find Social Media is one of the best ways to get our message out to the world about us and the products we carry in our Brick & Mortar Store in Nashville, TN. While many Footwear Stores and Companies are selling their products direct via Internet, we do not. There are so many variables in properly fitting shoes. The size and shape of your feet change over the years, and it just makes good sense to be fit by a professional. Small locally owned Businesses put that extra effort into taking care of their customers, and you can't get that personal touch by purchasing online. During the few weeks I will be updating all of my posts on this Blog as we move closer to our 22nd year.